As you can imagine, a lot of work was put into the development of Sony’s first PC line before it made its debut in 1996. Teiyuu Goto, a product designer from the Sony Creative Center in Tokyo was in charge of product design, name and logo concept for the new PC. While working on the project one night, Mr. Goto recalled having a sudden inspiration as the word VAIO flashed across his mind. He knew this was it. Although it was a sudden flash of inspiration, the name itself encompassed so much to him. In addition to the symbolic logo and acronym, he incorporated a number of meanings into the name, design and logo that continue to inspire our development to this day. For example, VAIO sounds very similar to bio or life which he believed was symbolic of how VAIO would continue to evolve – as we all do – and inspire new technology. The name VAIO also has a phonetic connection to the word violet and is why most early VAIOs were purple or at least included purple components. Another surprise – when you start up most VAIO models, you hear a unique sound in addition to the onscreen logo. 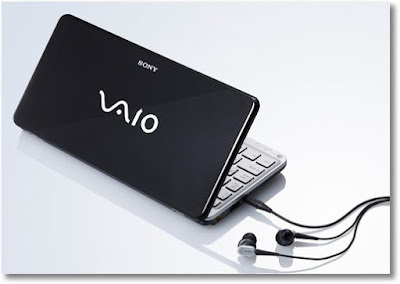 This sound derived from the melody created by the letters V-A-I-O when pressed on an American telephone keypad – a unique and playful way of symbolizing the VAIO as both a visual and audio entertainment device. VAIO Corporation which is headquartered in Azumino, Nagano Japan, is a manufacturer of personal computers. VAIO was originally a brand of Sony Corporation, introduced in 1996. Sony sold its PC business to the investment firm Japan Industrial Partners in February 2014 as part of a restructuring effort to focus on mobile devices. Sony maintains a minority stake in the new, independent company, which currently sells computers in the USA, Japan, and Brazil as well as an exclusive marketing agreement.